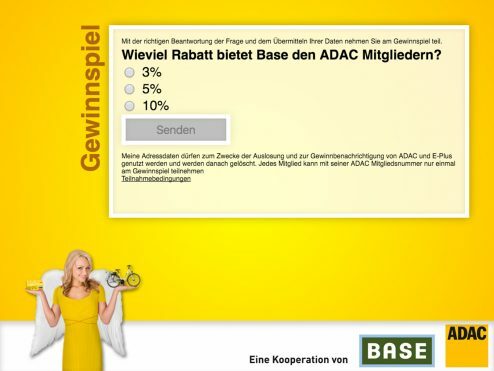 As a special incentive for Base customers who are ADAC members, P3 digital services developed an app for E-Plus that offers attractive prizes for ADAC members who visit BASE shops all over Germany. As a special incentive for Base customers who are ADAC members, P3 digital services developed an app for E-Plus that offers attractive prizes for ADAC members who visit BASE shops all over Germany. This app was developed for Android tablets and the BASE employee needs to sign in with his shop-number. 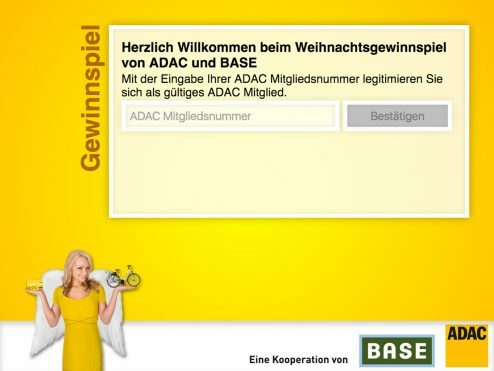 In the next step, the customer – who must be an ADAC member – can register himself with his ADAC membership number and take part in the sweepstake. A detailed monthly report is constructed to get the data of all the customers who answered the sweepstake correctly. 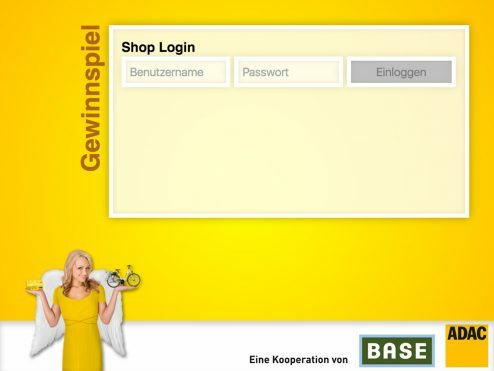 The “Gewinnspiel-App” has already been adjusted for a summer competition and a winter competition. Information about the company and the competition. 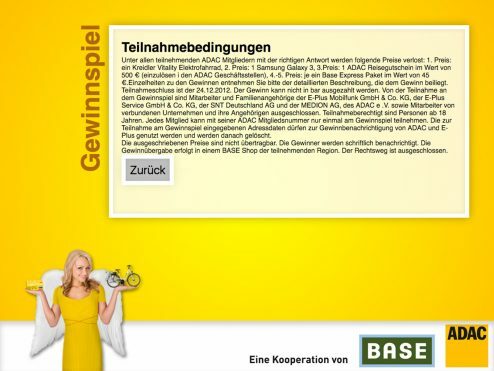 The BASE/ADAC Gewinnspiel-App is an intra-company app, solely for employees of BASE and E-Plus stores, and is unavailable in app stores.